Author David Stroebel is seeking voluntary researchers who can assist him in locating records inside Germany he does not have access to in America. He is currently seeking microfiche copies of newspapers printed by the Krupp works showing the activities of the firms, “Kruppaniers.” More specifically, the author is seeking and mention of his great-grandfather’s employment at Villa Hugel or the main industrial areas of the Krupp works from 1870-1874. German records show that the author’s great-grandfather, Johann Josef Ströbele, was a master shoemaker and revelations passed down in his family specifically state he was employed as a shoemaker for the Krupps. The author is also trying to identify evidential records from the Berlin City Palace, where family revelations tell how Johann Ströbele and fiancé Engelbertha sojourned there after leaving Villa Hugel for the last time. 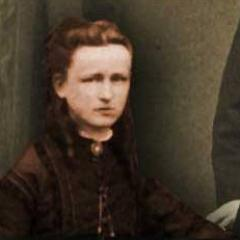 Specific revelations state Johann was a bootblack for Kaiser Wilhelm I while Engelbertha worked in the Palace’s kitchen. If you know someone who may be interested in this opportunity, please forward them the web address for this blog. Full credit will be given and you could even help break this story and corroborate the banishment of Engelbertha Krupp Stroebele. Please inquire to info@davidstroebel.com. There may be a potential bombshell report coming from outside the US from the descendants of the Illegitimate Krupp child and the child’s true identity. Working to corroborate this lead as we speak. 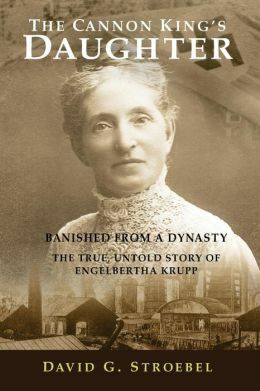 So it was revealed yesterday in an Essen, Germany newspaper story about my book, The Cannon King’s Daughter, that Alfred Krupp (1812-1887) fathered an illegitimate son and that it was a heavily guarded secret up until 10 years ago when historian Burkhard Beyer discovered the unrecorded Krupp child just as I discovered an unrecorded banishment in the Krupp dynasty. I can only imagine what consequences were hung over this man’s head if he revealed what he had discovered.